Ian heads up Product and Marketing for the Air Commerce line of business. This role involves owning the overall responsibility and being fully accountable for end-to-product life cycle management for all Air line of business products, from Conception (including customer research, commercial team input, R&D work and competitive analysis), Launch and Adoption (including customer operations and ongoing marketing/positioning), Ongoing growth and Product retirement/sunset. Ian joined Travelport in 2011; a key part of his work has been the launch of the Travelport Merchandising Suite with ‘Aggregated Shopping’ ‘Ancillary Services’ and ‘Rich Content and Branding’ which enables airlines to adapt their business models to whichever competitive/economic environment they operate in and for travel agents to access enhanced airline content in their normal workflow. 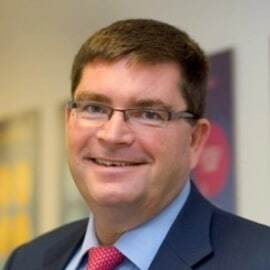 Prior to Travelport, Ian spent much of his working life at British Airways, where he joined as an apprentice and held a number of commercial roles in the UK and overseas. He has also worked for Qatar Airways as SVP Global Sales and Distribution.